We observed the 12th anniversary of the 9/11 attacks on the World Trade Center this week. News channels had at least one story on the memorial observances. MSNBC relived the entire experience, replaying the NBC news footage from that fateful morning, minute by minute. In Santiago, Chile, they remembered their own 9/11, which had an even more profound impact on Chilean society. The Christian Science Monitor reported that “President Sebastian Pinera marked the 40th anniversary of the military coup that overthrew Salvador Allende on Wednesday by urging Chileans to heal from—but never forget—the events of Sept. 11, 1973, that launched a bloody 17-year dictatorship.” Allende was a democratically elected socialist who launched the “Chilean path to socialism.” He nationalized the copper industry (mostly owned by US companies) and used the money to improve education and health care for his people. The US–meaning the CIA–found a way to sow chaos and provoke the military coup. Chile’s national history museum opened an exhibit this week to mark the anniversary. Chilean writer Ariel Dorfman had a poignant article in the September 8 New York Times, titled “9/11: The Day Everything Changed, in Chile.” He and his friend Claudio Jimeno were among four advisers to President Allende when the government was under threat of a military takeover by the forces of General Augusto Pinochet. The advisers rotated nights at La Moneda, the presidential palace, to keep watch and alert the leader to any emergency. Dorfman was to keep watch on Monday night, September 10, but changed nights with his friend because of a family obligation. The rest is history, of course. Jimeno was taken prisoner in the coup, tortured and became one of the desaparecidos. 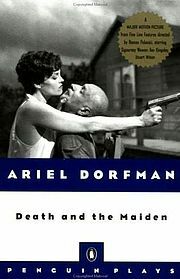 Dorfman is author of the novel and play Death of the Maiden, which has been dramatized on screen as well as stage. Victory Gardens Theatre will mount a production of the play in June 2014. The 1994 film starred Sigourney Weaver as the activist who believed she had been raped and tortured by a doctor who befriends her husband. The events could have happened in most any country under siege today, but it was Chile. Chile after 9/11. Bruce and the E Street Band performed in Santiago, Chile, on September 11, their first show in South America since the Amnesty International Human Rights Now! tour in 1988. Bruce took the opportunity to honor Victor Jara, Chilean poet, activist and Allende supporter, by performing his song “Manifiesto” during the encore set. Jara was tortured and killed after the 1973 coup. 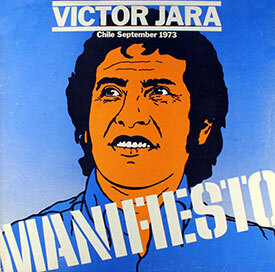 The Chilean 09/11 is the 1st thing that always comes to my mind as 09/11 approaches every year. It is almost insulting to watch and listen to all the commemorations of 09/11/2001 when only a very tiny number of Americans is even aware of 09/11/1973. Our sense of “American Exceptionalism” makes us completely oblivious to the amount of suffering that this country has inflicted on the rest of the world in the name of economic hegemony. Great Post, Nancy. I blog frequently and I genuinely i appreciate you for your ?nformation.This great article has really peaked my interest.I am about to book mark your web site and keep check?ng for brand new information regarding once weekly. Hello! I stumbled this page web page on Facebook. theme that you are using so I can use it on my site (minion rush hack). Thanks for your comment. My blog is built on the free version of WordPress and the theme is called “Clean Home.” Very easy to use and it allows for some customization–although I didn’t do a lot of customizing. WordPress has dozens and dozens of themes and you can try out each one with your own content before deciding. I use the free version of WordPress. It has many design themes. No coding needed. It’s a very user-friendly content management system.